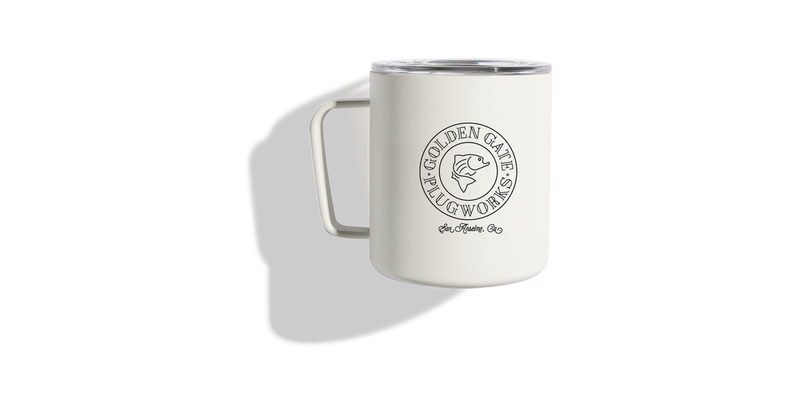 Golden Gate Plugworks (GGP) is a specialty fishing outfitter creating handcrafted wood fishing lures (plugs) in California’s Bay Area. GGP needed help making a name for itself. They hired me to establish their brand, and to design an emblematic logo, new swag, packaging and a website. When designing the logo, I wanted to convey a local artisan who is nostalgic, craft and small batch in nature because GGP is not a large, run-of-the-mill manufacturer. I also wanted to conjure a mindful and environmentally conscious outdoor outfitter. For the logo, I designed a graphic depiction of a striped bass, encircled by their name in a font that harkens the good old days. I included San Anselmo, CA, where the lures are made to highlight the local, handmade aspect. The website is straightforward and earnest with simple navigation. It is meant to seem personal, and hand-made as opposed to anonymous and corporate. I designed a package that is intended for storing a lure between uses and is not to be thrown away, into a landfill. Everything. You name it, I designed it.